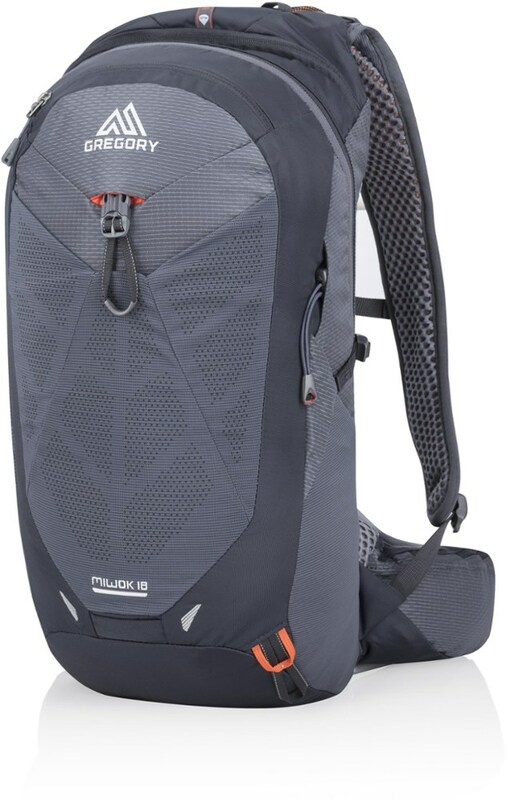 Great little climbing pack. Enough room to spend a night out rough and to bring all your toys with. Stable enough for climbing and biking while fully loaded. 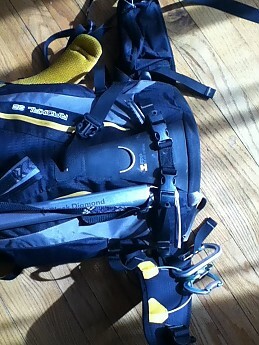 The first pic is of the ice axe system, particularly the straps and cover for the pick. Pic 2 is the helmet carrier strap. It unfolds from its own pocket on the top lid. For these pics I loaded the pack with what I would normally take out for a winter day in the mountains. A 40 degree synthetic bag, a space blanket/tarp, crampons, a small stove with titanium tea pot and a Patagonia R1 pullover with extra wool socks. I packed all of this and tightened all compression straps with a broken right wrist (still in its cast). 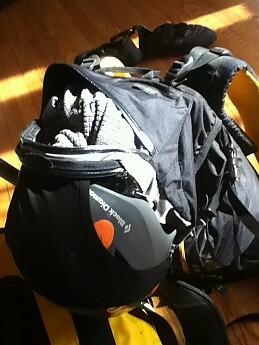 I believe that speaks volumes on the ease of use of this pack. 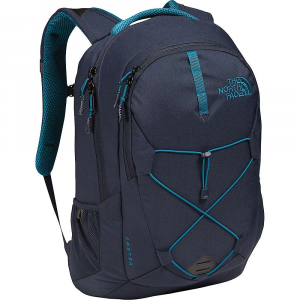 I've used this pack for everything from day hikes to overnights. It's meant for winter activities and that's where it excelled. It has all the bells and whistles for climbing and back country skiing. I don't ski at all so I can't tell you how the ski carry options worked, but if they work as well as the other special features then I would say they were pretty good. The helmet strap was particularly handy. It's more than a strap. It connected to the top pocket at 4 points and cradled nearly the whole helmet. I was never worried that the helmet would slide out and there was no shifting or bounce to the system at all. When not in use it tucks into a pocket in the top lid. If you have a rope in the rope strap you have to remove it to get to the main compartment. The wire gear loop on the waist belt is stiff and easy to clip into. The ice axe system is solid. It held my axe very securely, but you do have to take the pack off to get to it (that seems to be a problem for some folks). I did end up carrying it on an overnight backpacking trip. The suspension comfortably carried 25-ish pounds of gear, but if I had to get to something near the bottom of the main compartment then everything had to come out. I was climbing in Malibu State Park once and to get to the routes we had to do a traverse over a pond. Well, on the way out I fell into the pond the pack was completely submerged for about 20 seconds and halfway in the water for 2 or 3 minutes. Everything stayed dry during that little episode. 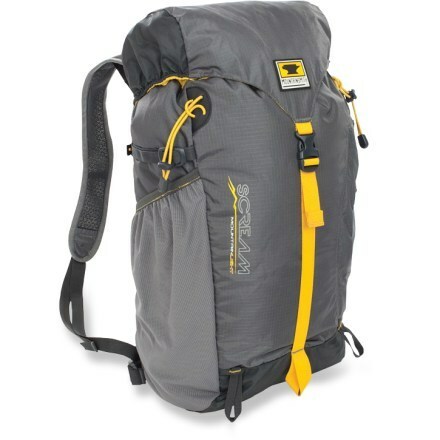 I don't recommend backpacking with it since if you need to find something near the bottom of the pack then everything has to come out, though it did handle the 25-ish pound load comfortably without feeling unbalanced. 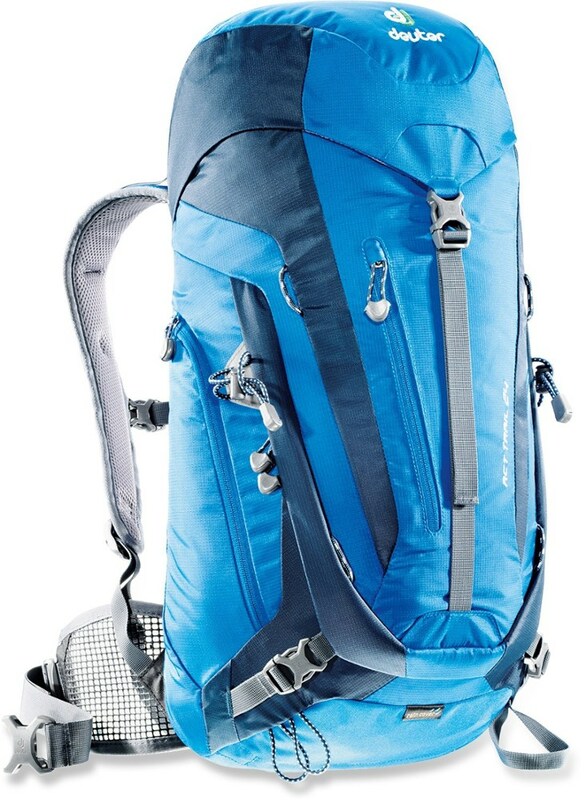 It also has short straps on the shoulder straps that when the pack is on and loaded, one can hold these to pull some of the weight off the shoulders. this is a european feature that has a name that i cant recall. When wearing any of my packs I always hold the shoulder straps in this area because it helps my posture and makes the load more bearable. 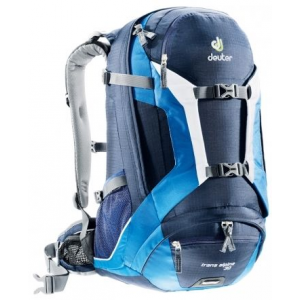 These built in straps are more comfortable to hold onto than the shoulder straps themselves. Fully loaded it stuck to my back like a codependent monkey. Scrambling, climbing, and navigating fallen trees on steep trails was easy. The pack didn't sway or pull me off balance. The suspension kept the load tight against my back and there was enough airflow between the frame pads to keep me from sweating profusely when it did get hot. 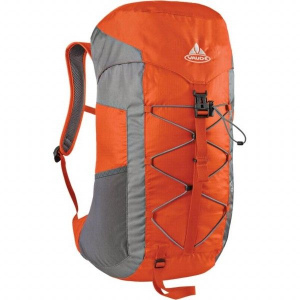 Thanks for sharing your Millet pack review, Jeff. I'd love to see some pics of it, if you're willing to add any. The Radikal 32 has been discontinued. 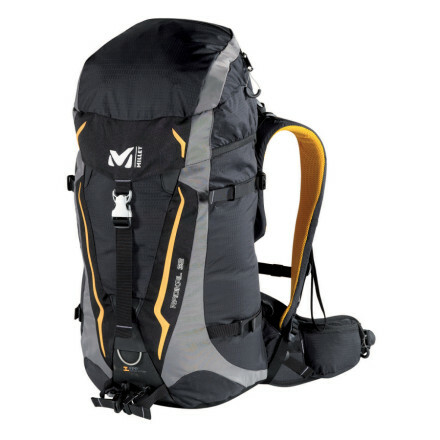 The Millet Radikal 32 is not available from the stores we monitor. 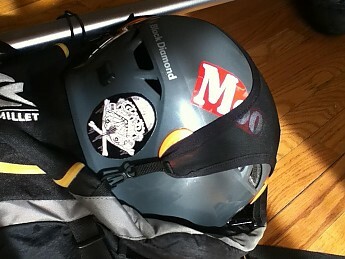 It was last seen January 13, 2012	at Backcountry.com.